The Washington Hotel was long a landmark at the northeast corner of 92nd Street and Commercial Avenue. The commercial development is another clue, since there weren&apos;t many major shopping districts on the far South Side in 1934. 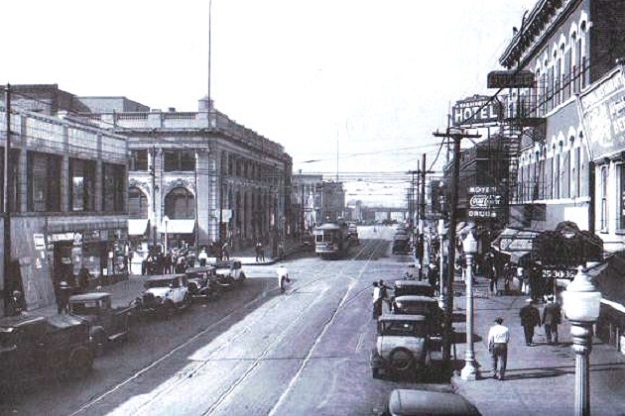 The older photo also shows a junction of two streetcar lines, and a grade-separated railroad crossing in the distance. Those features were also rare south of 79th Street.